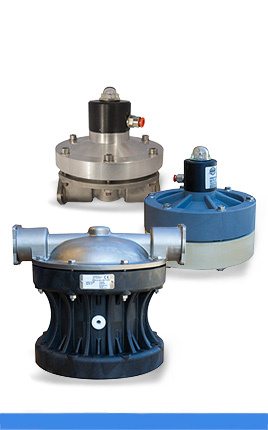 Diaphragm pumps are characterized by high operational safety, as well as their diversity. 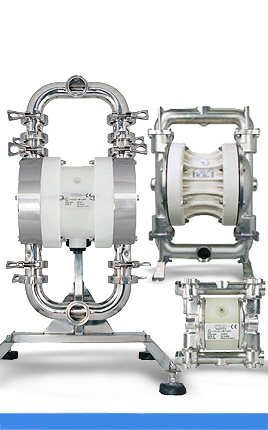 The compressed air diaphragm pumps can be used for almost all low-viscous to high-viscous media. 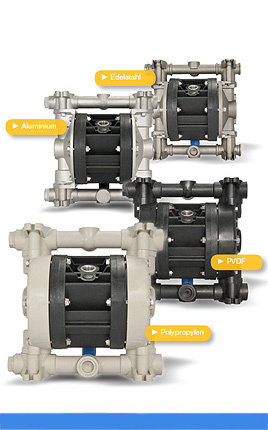 Diaphragm pumps are among the group of positive displacement pumps. They are powered by an air operated motor. Pulsation dampeners works actively with compressed air and a diaphragm, automatically setting the correct pressure to minimize the pulsations.